No more searching your inbox or rifling through stacks of paper. 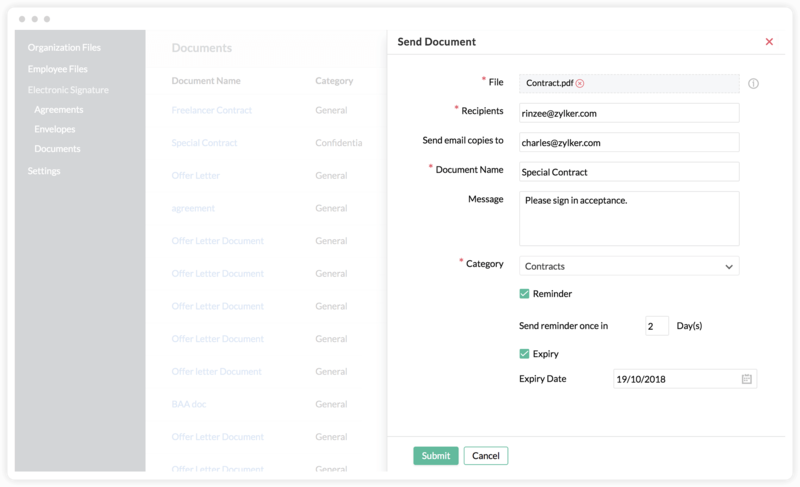 You can now categorize all your documents, provide easy access to docs like policies, and share confidential ones with the right person. Zoho People's file cabinet helps you sort, organize, and store documents securely. 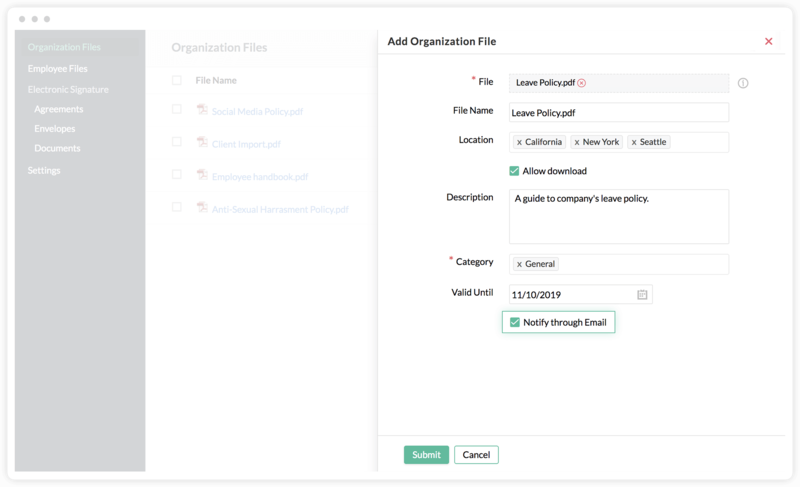 You can store and share generic documents like policies and handbooks below organization files for better communication. 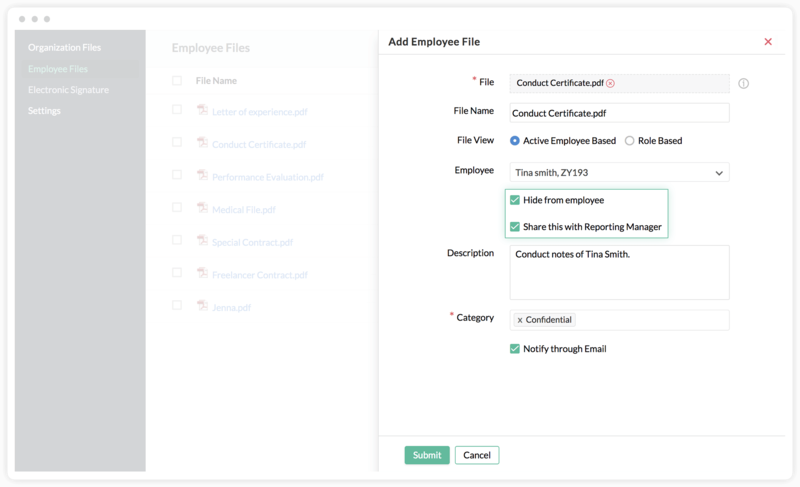 Confidential documents like appraisal files, conduct records, and other sensitive information can be stored under employee files with access permissions. 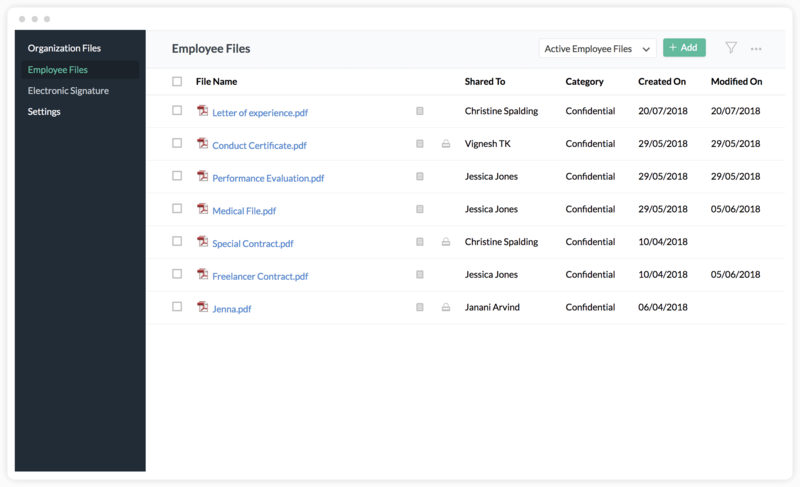 Notify employees via email every time a new file is added to the cabinet. Enhance awareness of company policies, and increase their visibility throughout your organization. Share crucial documents with employee, role, or location-specific access. You can further ensure confidentiality by sharing documents directly to reporting managers. From offer letters to contracts and policies, there's a lot of documents to be sent out for signatures. Zoho People integrates with e-sign tools to help you get your important documents signed and returned on time.